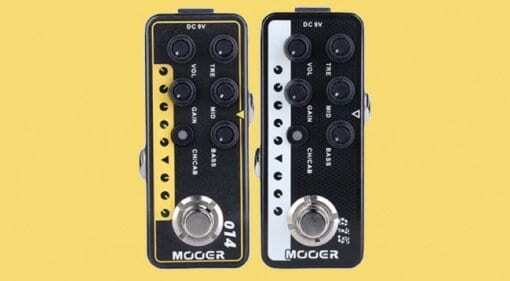 You want all the latest news, rumours and everything else there’s to know about Mooer? We're happy to oblige: On this page you’ll find everything at a glance – and it’s always up to date! 16 Jan · Looks like a right beast, this one! 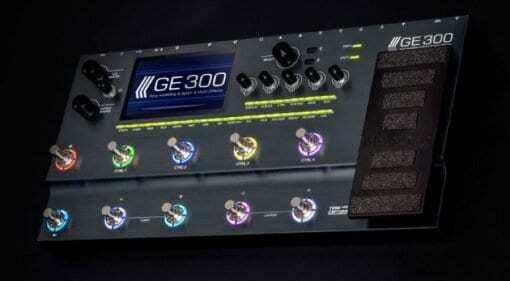 The new Mooer GE300 multi-effects and amp modeller is still in development but is to receive a preview showing at NAMM 2019. 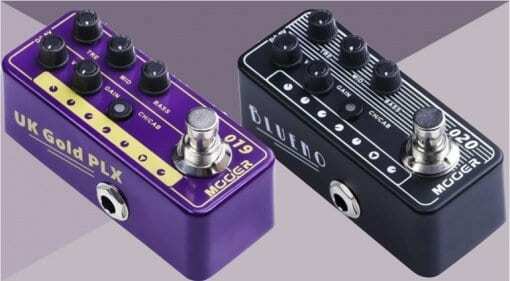 14 Nov 2018 · Two brand new pedals from Mooer expand its Micro Preamp line-up. Could the new the UK Gold PLX and Blueno be the perfect Christmas present for a guitarist you know? 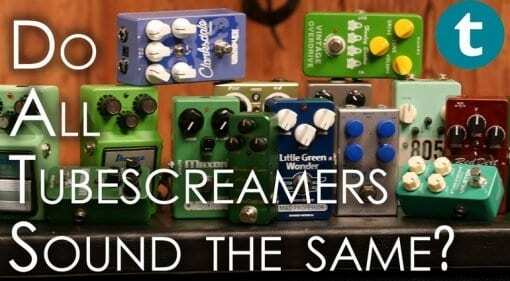 The Big Tube Screamer Shoot-out: 22 TS pedals and clones compared! 19 Aug 2018 · Do all Tube Scremers sound the same? Music retailer Thomann has made a video comparing 22 versions of the classic overdrive pedal, covering an enormous range of pedals and price points. 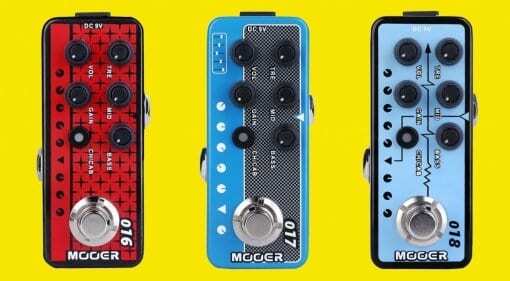 02 Aug 2018 · Three new Mooer micro-preamp models announced - Phoenix, Cali-MkIV and Custom 100. 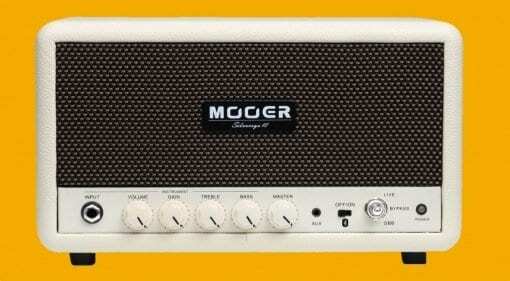 But can you guess which classic guitar amps they are based on? 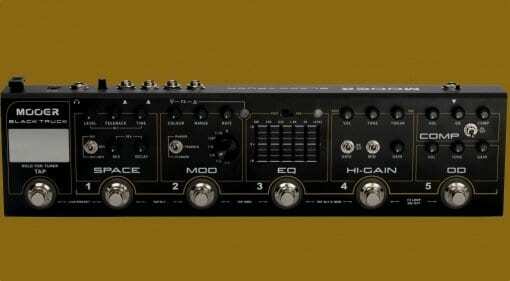 22 Jun 2018 · The new Mooer Black Truck multi-effects pedal tweaks the older Red Truck design to produce a new version that looks more flexible, with a new 5-band EQ and more versatile footswitch functions. 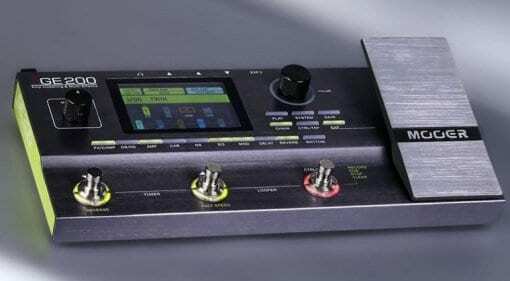 Mooer SilverEye: A hi-fi music player or a guitar amp? 05 Jun 2018 · The Mooer SilverEye is a new small desktop amp and a power supply with Macro Power S12 with 12 outputs are expected to be released later this month. The power adapter is more expensive than the amp! 05 May 2018 · Mooer has announced two new micro preamps that extend Mooer's ever-expanding line-up of modestly priced digital preamp sims- can you guess which amp models these two are based on? 14 Mar 2018 · This little 15W amplifier packs in an insane amount of effects, amp models and cabinet simulations, yet seems simple to use and easy integrate into your guitar set up. 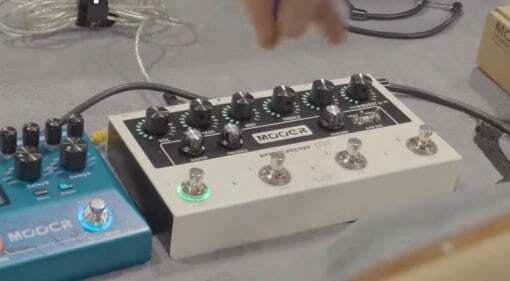 26 Jan 2018 · At NAMM, Mooer has just unveiled a brand new preamp pedal that could outshine everyone else, we even have some cool video footage of it in action ahead of the official release. 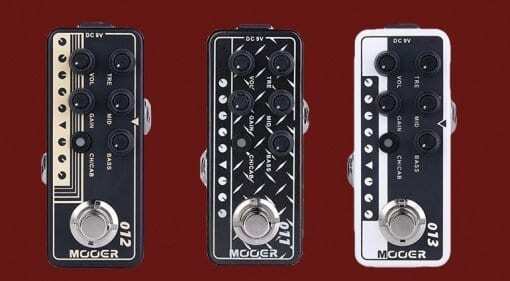 11 Jan 2018 · Mooer is digitally cloning boutique American guitar preamps and offering us twin-channel versions that will fit in your pocket - at under £100 each. With built-in speaker emulation. Phew. 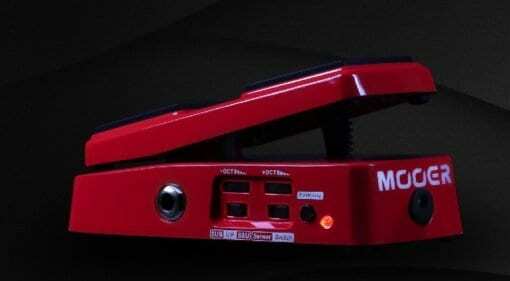 04 Jan 2018 · A brand new polyphonic pitch shifting mini pedal from Mooer, the bright red Pitch Step will debut at the NAMM Show and looks like serious competition for Digitech and its Whammy pedals. 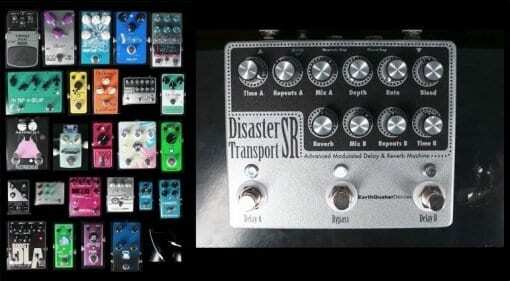 15 Oct 2017 · This week's pedals include budget octave pedals and two unique boutique offerings from the USA including two monstrously dirty pedals inspired by mythical beasts. 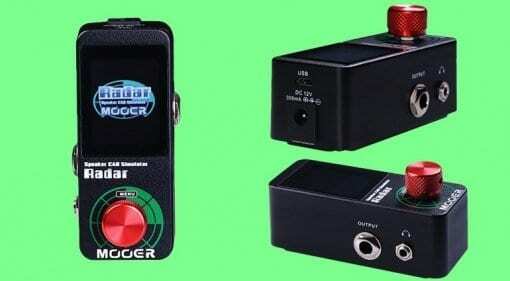 27 Sep 2017 · Mooer have come up with an easy way to add IR speaker emulations to your pedalboard - Radar comes loaded with 30 Impulse Responses while letting add your own, too. 27 Sep 2017 · A new potentially budget conscious multi-effects and amp simulation floor pedal. 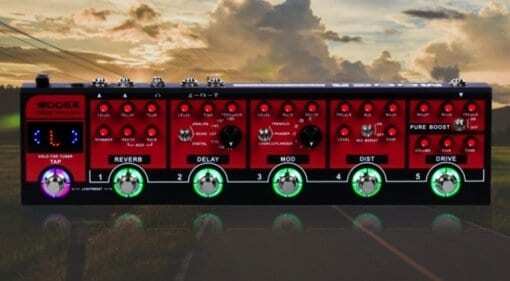 Will this be able to offer Line 6 Helix like flexibility, but on a budget? 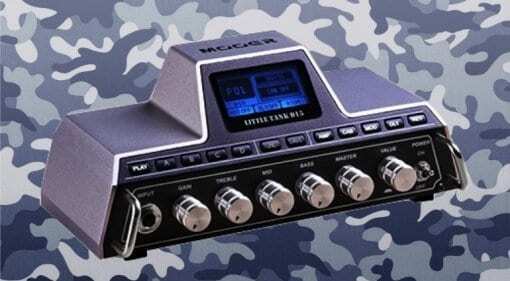 26 Jun 2017 · Mooer are out to prove they can offer a shedload of useful features on a lightweight solution at a low price. But is the new Red Truck multi-effect slowed down by too many compromises? 06 May 2017 · Looking for a new delay pedal for your guitar rig? 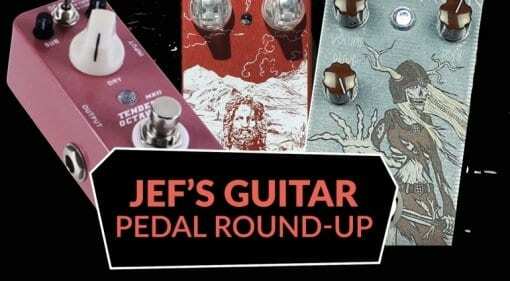 The guys at Gear Gods have compiled a 25-way shoot-out of delay FX pedals, a great place to start your research.